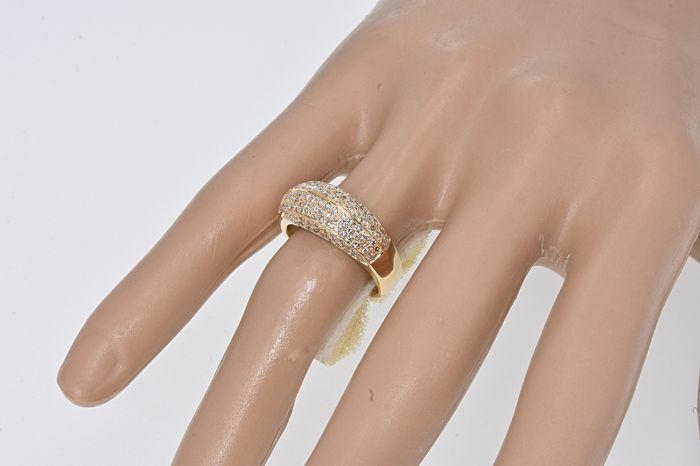 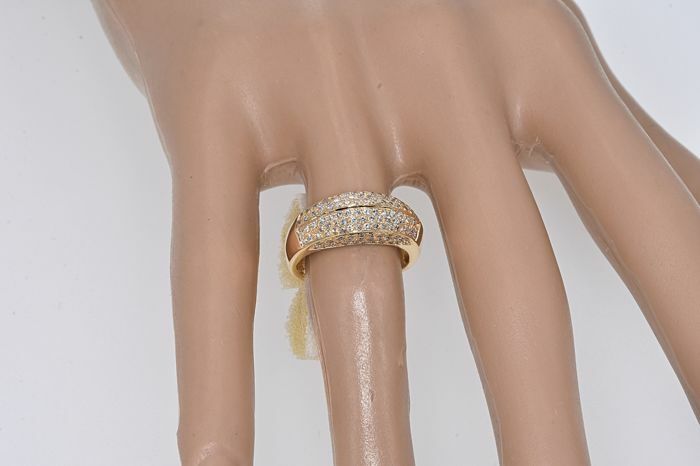 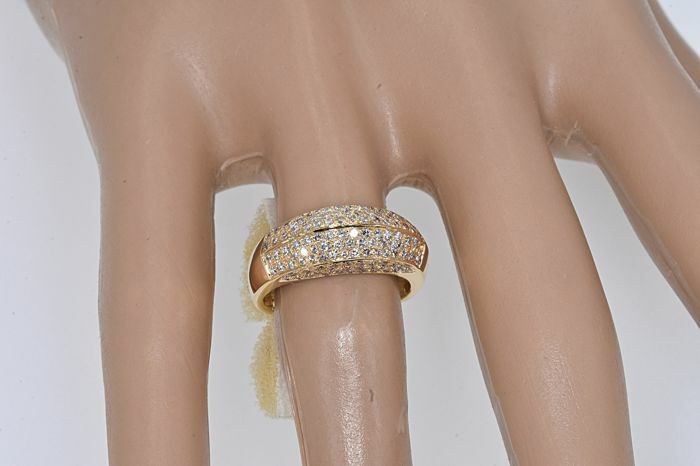 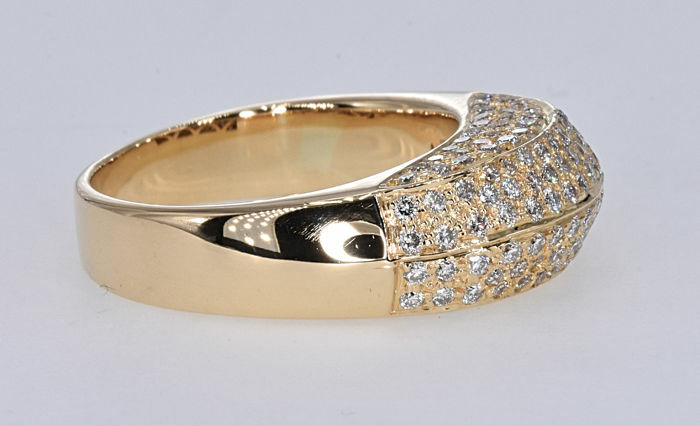 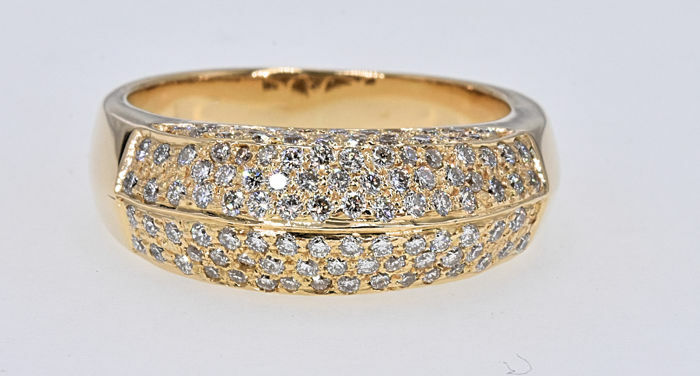 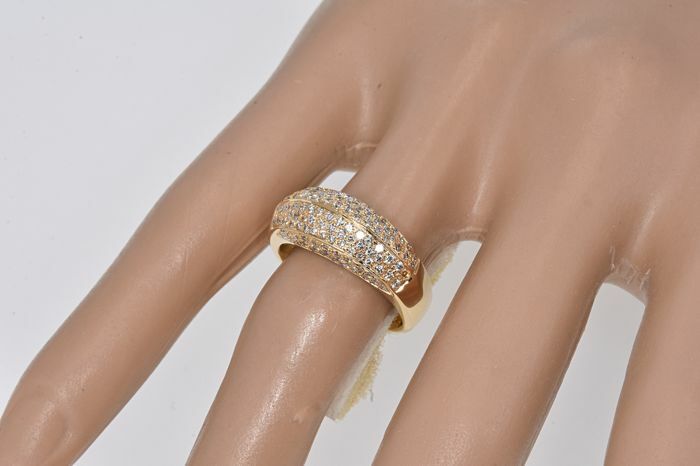 138 brilliant-cut diamonds e/f vs. weight 8.8 g.
18 kt yellow gold, beautiful ring with 1.24Ct of round cut Diamonds. 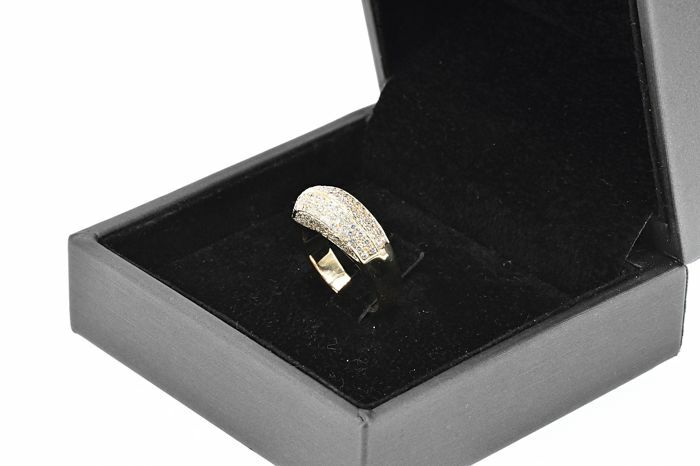 These stones are prong/channel set in an elegantly designed ring. 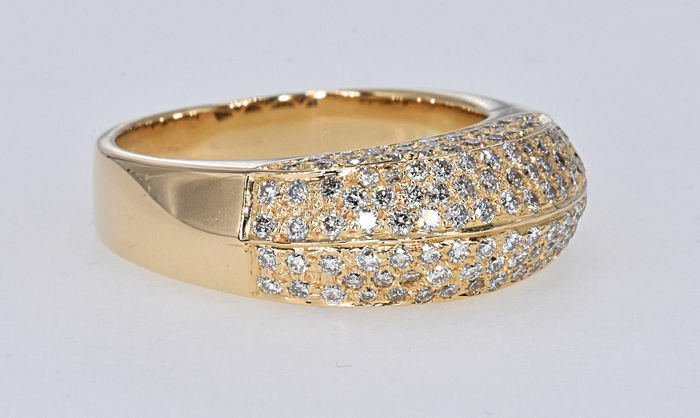 Exceptional lustre and clarity Diamonds. 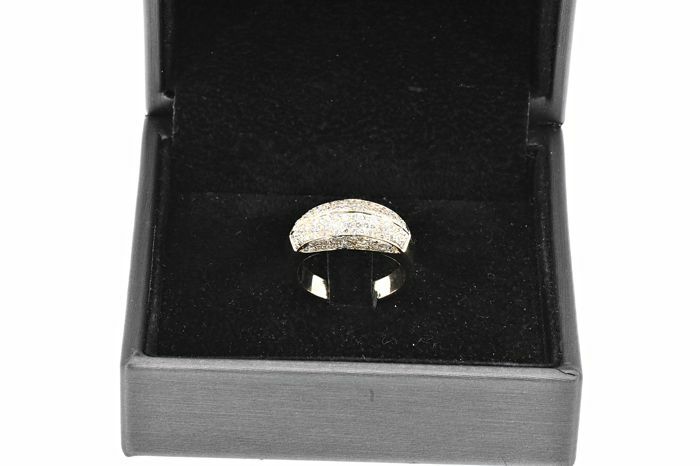 Very professionally manufactured. 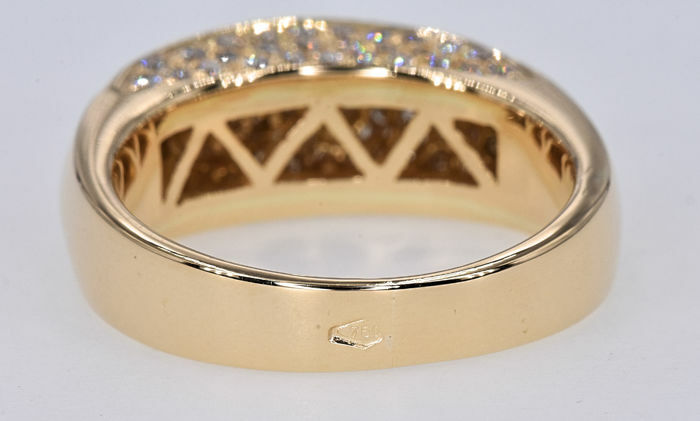 Jewel for a lifetime. 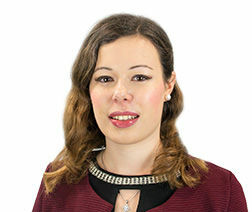 Robust mounting. 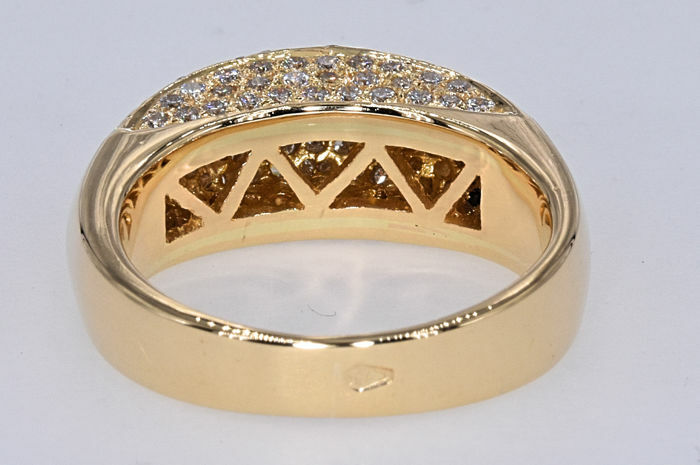 18 kt yellow gold, stamped: 8,8 g.
Size: 13,5. 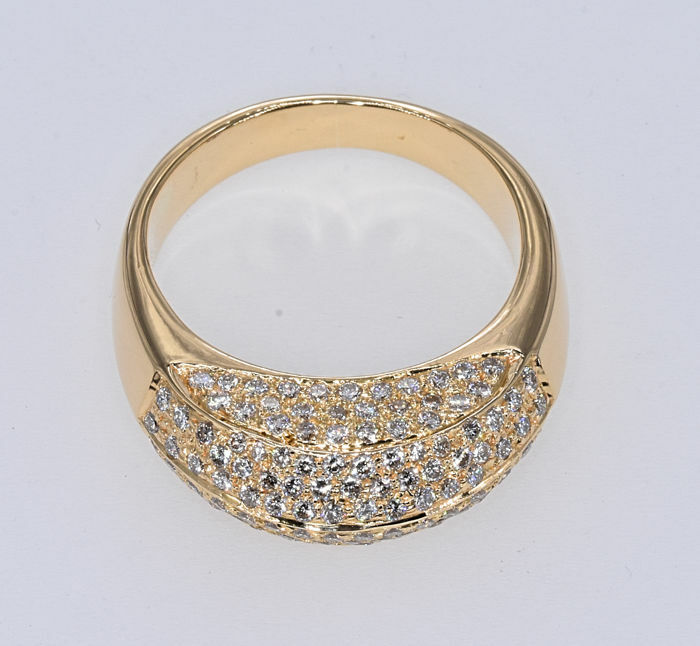 Inside diameter: 17 mm.